We do not support downgrading to earlier versions of our MIDAS Web Based Room Booking & Resource Scheduling software. If you run a self-hosted edition of MIDAS on your own server, and take regular server backups, then you can of course roll your server back to an earlier point in time & restore from your own server backups taken when you were running an earlier version of MIDAS. Whilst we are unable to offer support for such downgrades, it's important to note that you'd need to restore both physical files AND MySQL databases, restoring one and not the other will lead to issues. Also, restoring your database to an earlier point in time will result in data loss. If you're at a stage where you want to revert your MIDAS system to an earlier version, then something has probably gone wrong! 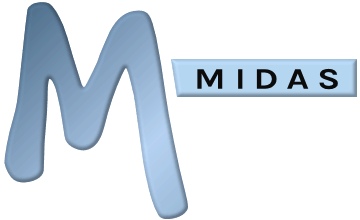 It's worth remembering that if you run a self-hosted edition of MIDAS, then your license permits you to also install a separate "test" instance of MIDAS in addition to your "live" system. We'd strongly encourage you to take advantage of this! Running a separate "test" instance will mean that you can update & check newer version for MIDAS on your test system before updating your "live" system to any new version. If you're not running a self-hosted edition, and instead have your scheduling system hosted by us in the "cloud", you won't have access to a separate "test" instance. However, if you encounter any issue after we update you to a newer version of our software, please do get in touch! We take regular backups of all hosted customer's databases and we're very responsive when it comes to fixing bugs! ..and don't forget, regardless of which edition you run; if you've simply made a change in your MIDAS system that you wish to "undo" then you can restore deleted bookings, or even selectively restore your database back to an earlier point in time. For more information, please refer to the documentation.